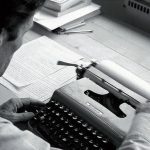 The centenary of the birth of director Federico Fellini in 2020 invites a unique opportunity to reassess his contribution to the history of Italian culture from new perspectives. With his monumental film production, which has been extensively studied—at least from La dolce vita forward—the Riminese director gradually seeped into Italy’s daily life. While his films have sparked lively debates since he first became popular in the 1950s, less attention has been devoted to the process that has led many scholars to consider him the emblematic figure of the film artist, both as a major character in the cultural history of Italy and as the symbol of what is quintessentially ‘Italian’. 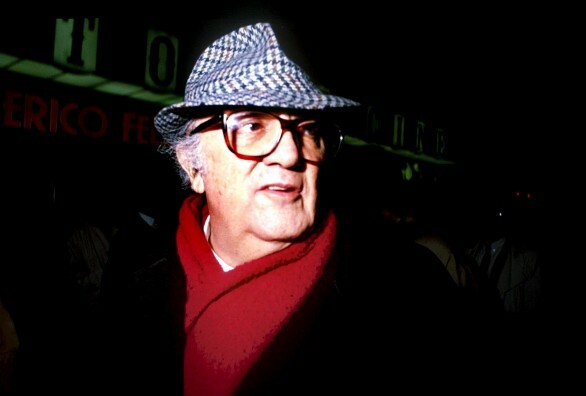 Unlike other Italian directors, Fellini became a newsworthy and publicized figure beginning in the 1960s. He contributed to the creation of an ‘elusive’ image of himself (Hodsdon 2017) both through the construction of several cinematic alter-egos and through unmistakable appearances with his hat and red scarf in documentaries, feature films, illustrated news magazines, press and TV reports, and other forms of media. Equally, he emerged as a staunch defender of certain political and cultural struggles, such as those against television commercials or against Berlusconi (who was still an editor at that time). Additionally, he became an object of scrutiny and discussion for journalists, critics, cinephiles, colleagues, and biographers searching for an openly hagiographical definition of the threshold of the Italian artistic tradition. Earlier theoretical contributions have thoroughly assessed the concept of ‘author’. Had Mikhail Bakhtin studied Fellini as an aesthetic and narrative object, he might have introduced him as a case study in Author and Hero in Aesthetic Activity to highlight the reciprocal nature between his creative acts and his activism on the public scene (Bakhtin 1920-23). Michel Foucault, on the other hand, would have praised the discursive feature “characterized by […] plurality of egos” (Foucault 1969). Roland Barthes, for his linguistic sensibility, might have asked how Fellini influenced even common vocabulary such as the transformation of his name into an adjective as well as other words such as ‘dolcevita’, ‘amarcord’, and ‘vitelloni’ (Barthes 1967-68). However it becomes essential to consider Fellini from a social and historical angle, calling upon cultural and social disciplines to furnish new analytical perspectives— measuring the impact of his personality on today’s and yesterday’s Italy, and on the Italian identity abroad. For example, Fellini was keen on creating a public image of himself both as a ‘magician’ and as a country bumpkin, playing with a combination of two Italian stereotypes: the creative artist (the ‘maestro’) and, by a sort of ‘reverse patriotism’, a heap of irredeemable flaws (Patriarca 2010). In short, the creation of his reputation is a crucial case study of how an ‘artist’ is socially constructed and of the cultural forces that influence his public image (Kapsis 1992). This angle unlocks promising and abundant research possibilities: the idea of masculinity offered by Fellini’s voice and body (his acousmatic force, as Chion  would say, is flagrant); the fashion in which his cumbersome presence has transformed urban spaces, such as Rimini, a film library dedicated to him, the Cinecittà theme park, Rome, and the EUR district. Moreover, contributions to this special issue can discuss the exoteric vein in Fellini’s life experiences as often illustrated in magazines and news outlets; the numerous parodies of which he is the unconscious victim; the proliferation of commercial activity using the names of his films (here, too, a re-semanticized lexicon); and the way in which his wife, and his collaborators, friends, and colleagues evoke him in biographies, interviews, public statements (Giulietta Masina, Marcello Mastroianni, Vincenzo Mollica, Tullio Kezich, Milo Manara). Overall, the broad and innovative perspective described in this call for papers pursues the goal of rediscovering the aspects that contributed to Fellini’s mythification and integration into the sphere of Italian public speech. If we can believe Morin when he says Fellini “is more than an actor incarnating characters, [since] he incarnates himself in them, and they become incarnate in him,” (Morin 1961) is it then possible to study Fellini as a character/divo in the film of social history and Italian culture in the last half century? If the articles composing this single-issue journal confirm that proposition, may one consider Fellinian heritage as the ability to inhabit social spaces, the ability to be inscribed in the (Italian) public sphere but in flesh, bones, and other phantasmal forms? The deadline for the submission of abstracts is 15th April 2019. The accepted proposals will be notified by 30th April 2019; completed articles should be sent by 31st July 2019 for peer-review; authors will be notified of the results of the peer-review by 15th October 2019.